When caring for a lawn organically, many of the commonly used lawn care products are not considered appropriate therefore product alternatives are often sought. 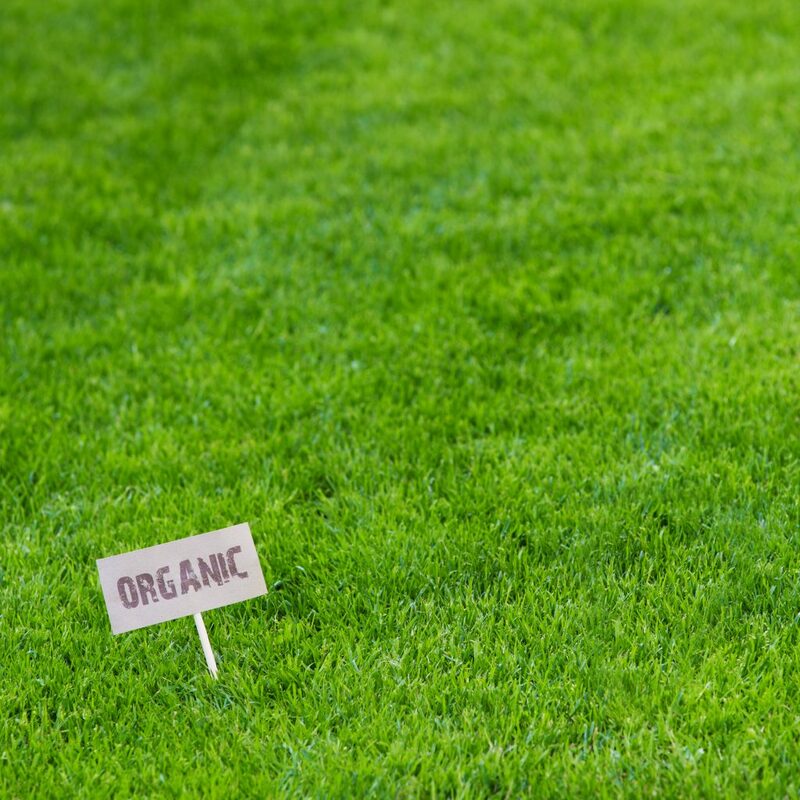 The reasons for organic lawn care are varied but often people are concerned about the use of chemicals and are keen to have a chemical-free lawn. A lawn can be cared for organically if most of the care is provided by naturally-derived rather than chemically-derived products. This usually refers to the types of fertilisers used but also methods used for controlling pests and diseases and weed management. If the lawn is part of a certified organic garden or property, all products used must be certified as allowable inputs for an organically certified property, and a statement on a product label that the product contains organic material will not be enough. For most home lawns, organic lawn care need not be complicated or difficult. Organic fertilisers such as Dynamic Lifter or Seamungus are fine for lawns. These fertilisers tend not to be high in nitrogen so may not be sufficient to sustain a high-use lawn or one which is mown often. These lawns may need additional feeding with a fertiliser high in nitrogen which may be a homemade aged poultry manure or an occasional top up with a high nitrogen inorganic fertiliser. Homemade compost, worm castings or bagged compost can be very effective when spread lightly on lawns as a fertiliser and soil conditioner. Organic garden care tends to focus on continual soil improvement and ensuring soil health. Fertilisers such as Troforte and Earthlife’s Lawn Blend do include some inorganic slow release fertilisers, but they also contain large amounts of silica which is very effective at improving the structure of all soil types, together with approximately 60 different minerals and 30 different soil microbes. These products focus very much on creating healthy soils which can provide all of the required plant nutrients (major and minor nutrients as well as required trace elements), buffer pH and toxic imbalances, and provide microorganisms which will ensure long term and permanent improvements to the soil. They do contain some inorganic fertilisers which helps them to provide enough nitrogen to feed a heavy use lawn. Earthlife has another product, Garden Mate which contains only the silica, minerals and microbes and is an allowable organic input. The improvements made to the soil by using these products will ensure healthy strong plants which are better able to withstand pests and diseases, without the need for additional treatments. Many lawn weeds can take hold in stressed lawns with bare patches, which often correlates to compact and nutrient deficient soils. Many weeds, including nutgrass, grow in heavy, calcium deficient soils. Others such as clover can fix nitrogen and will be able to dominate in nitrogen impoverished lawns. Improving soil quality and health will favour the turf grass to out-compete weeds in the lawn, greatly reducing the need to treat weeds. 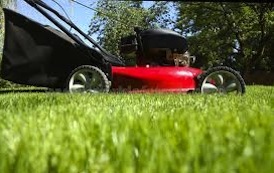 Correct mowing will also assist to reduce weeds in lawn without the need for herbicides. Do not mow the lawn so short that it becomes scalped, as this will not allow sufficient green grass blade for the lawn to recover before the weeds take hold. Grass grows well with the top trimmed a little regularly, however these conditions do not suit weeds. Regular mowing will prevent the weeds from getting too tall and also prevent them from seeding and spreading. Where weeds have been able to seed in the lawn, Earthlife offer an organic product called “Weedless”. It is a natural compost enzyme which prevents seeds germinating, while causing no harm to living plants or to soil organisms. It is perfectly safe to spray on lawns without needing to exclude children or dogs. This product is ideal for spraying on bindii that have gone to seed. With greatly improved soil health and stronger lawn grass, pests and diseases will have less impact. Most pests are more likely to attack lawns with soft sweet growth caused by the overuse of high nitrogen fertilisers. Using balanced fertilisers with a wide range of plant nutrients reduces the likelihood of such soft sweet growth. Avoiding compaction and improving drainage will also assist to ensure that lawns are less susceptible to pests and in particular fungal diseases. Using fertilisers which are biologically activated (ie they contain good soil microbes) will increase the presence of beneficial microorganisms which are able to attack problematic fungi and diseases and improve overall soil health. This can be achieved with any of the biologically active fertilisers that are commercially available, or with garden tonics such as seaweed sprays, or homemade compost, compost tea or worm juice from a backyard worm farm. Whilst pests are less likely to attack a healthy lawn, no lawn is completely immune. Regular checks will help identify a problem while it is small and easy to treat. One of the most common pests is lawn grubs. An early sign of these can be bare patches which quickly spread, or the foraging activities of magpies or kookaburras on the lawn. Pouring a bucket of very soapy water over the affected patch of lawn will be very effective at killing the grubs, but will also kill earthworms, so should be followed up a few days later with a garden tonic as mentioned above or if it is over a large area, some worm castings spread thinly over the area will re-introduce worms quickly, in addition to aiding the grass to recover. Organic lawn care can easily result in a lawn which is as neat and beautiful as one which is cared for using non-organic means. The focus on soil health and enrichment can often lead to far superior results and a much stronger lawn than one which relies only on feeding the lawn grass without consideration to soil health. Such a lawn can be easy to manage and able to be kept weed and pest free without the need for poisons or chemical treatments.